Iraqi Forces Liberated 56 Villages During First Day Of Its Operation In al-Jazeera Region (Photos, Video) 5 out of 5 based on 7 ratings. 7 user reviews. On November 23, the Iraqi Army and the Popular Mobilization Units (PMU) captured 56 villages in the al-Jazeera region, which is located in the Saladin-Nineveh-Anbar triangle, according to the PMU media wing. The Iraqi Army and PMU also captured the Geneva airport located south of the town of Hatar. Moreover, government forces captured the bridges of al-Sukariat, al-Akarb and al-Bka in the Tharthar valley in the eastern part of the al-Jazeera region. During its advance, the Iraqi Army destroyed 8 vehicle-borne improvised explosive devices (VBIEDs) of ISIS and captured 3 others. Government troops also killed several ISIS fighters, destroyed 4 vehicles and several mortar positions of ISIS. 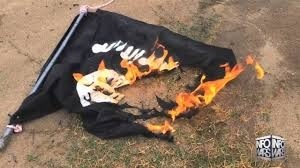 From its side, the ISIS-linked news agency Amaq claimed that two suicide bombers targeted a gathering of the PMU fighters’ north of Baiji city in the eastern part of the al-Jazeera region. However, Amaq didn’t report any other attacks against government forces, which could mean that ISIS defense in al-Jazeera collapsed. Thousands of ISIS fighters are believed to be trapped in the al-Jazeera region. However, al-Jazeera is impossible to defend as most of it is an empty sand desert. Due to this, the Iraqi Army and the PMU will formally liberate al-Jazeera in the upcoming weeks, if not days. lol, fake vehicles and equipment made out of cardboard to fool air support / recon, idk if it worked or not… Probably not in this case. Iraqi army and PMU should clear out this area pretty quick. I really doubt that there are many iSIS there, I mean why drive out to the desert to defend wadis where there are no villages? ISIS is trying to dissolve into SDF held lands. I think those desert parts are very good for hiding weapons, food and some people. They can find water there and by that go on with a terrobase from there. Its the same in Syria east of Khabour. I would prefare SDF, SAA and the Iraqian army sended out several 1000 people out there more or less random to find, what there would be. I am sure, they will find at least something but not all. ISIS are experts in hiding. It could include alot dry food.